Bonnie Dang and Ashley Nobel presenting their financial plan to the IARFC in Asheville, North Carolina. Photo courtesy of Shannah Game. 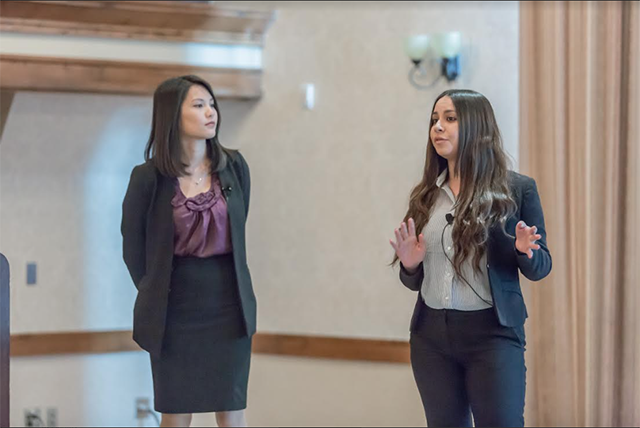 During the Spring 2018 semester, California State University, Northridge students Ashley Nobel ’18 (Financial Planning) and Bonnie Dang ’17 (Finance) clinched third place at the International Association of Registered Financial Consultants (IARFC) competition, after submitting a financial plan based on a real-world situation. Competing against more than 70 participants, Nobel and Dang’s first-ever competition proved to be highly successful. The IARFC is a nonprofit credentialing association for financial professions, dedicated to building public confidence in the financial services profession. Each year, the association hosts a competition for colleges around the U.S. to develop the most successful financial plan. Their project: a comprehensive plan for a family that wants to implement personal financial goals such as retirement, life insurance, income tax and estate planning. For a semester they worked in and out of the classroom, researching and utilizing various tools such as textbooks and online programs. Their most challenging obstacle was the lack of experience in the field. This would be their first time navigating a project like this. Through this process, they received guidance and coaching by CSUN professor Shannah Game, a certified financial planner and MBA lecturer in the Department of Finance. Their financial plan did not come easily to fruition. Dang and Nobel worked extensively to produce a plan that was both sound and compatible. The competition took place across the country, at the prestigious Biltmore Estate in Asheville, N.C. 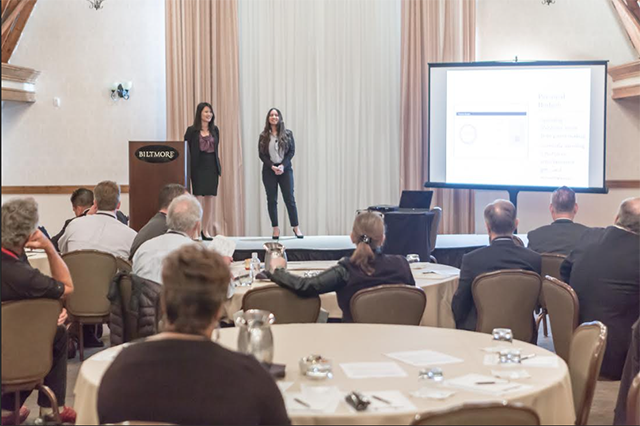 The CSUN pair presented their plan, showcasing their financial strategy for an audience and a group of judges. The competition, although challenging, provided invaluable experience, the students said. Both Dang and Nobel said they plan to pursue careers in the financial planning industry and building experience in the field.